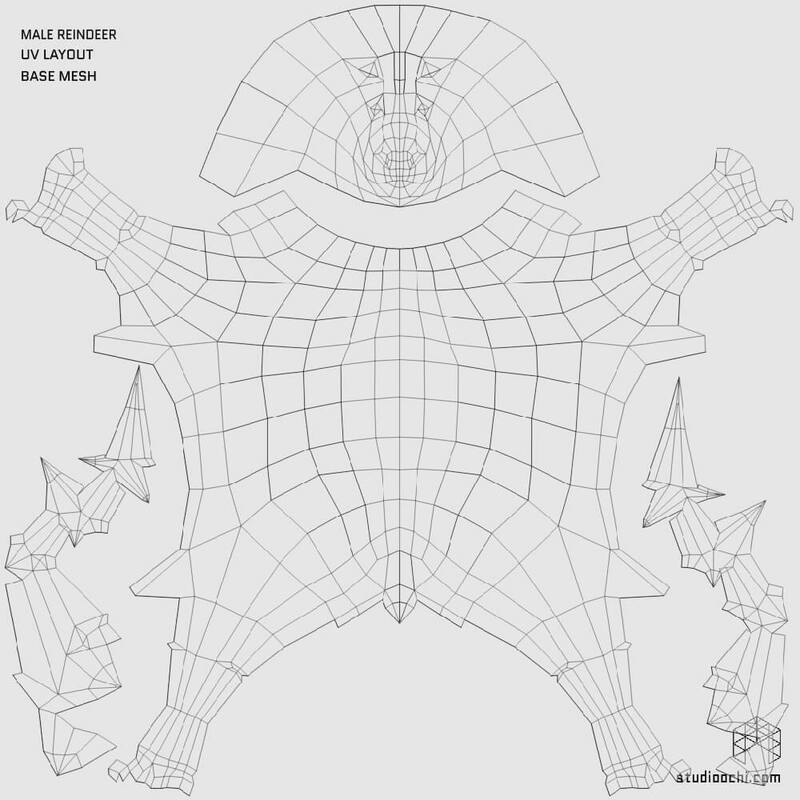 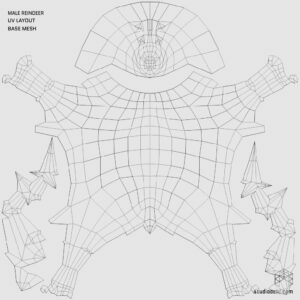 Base Mesh with an easy to edit UV Layout in one piece for male and female. 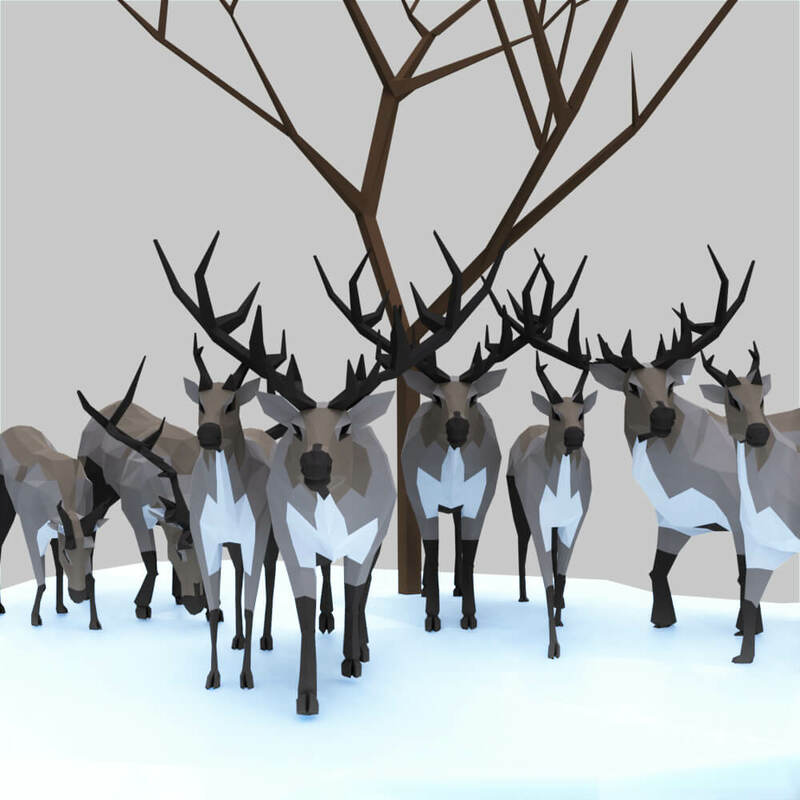 Pack Scene, we include the scene as shown in our Sketchfab model. 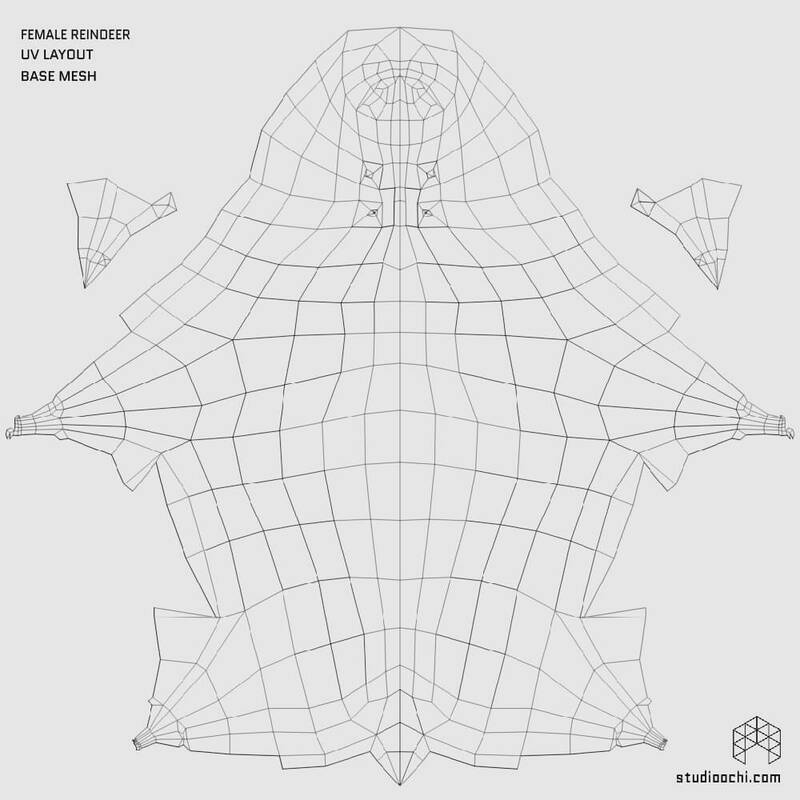 The Base Mesh: A quad face based with 562 faces for female models and 764 for male models. 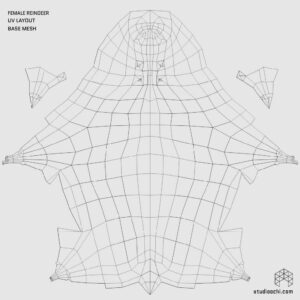 The Sketchfab Scene: A ready to render (Blender) scene with 5.6k faces. 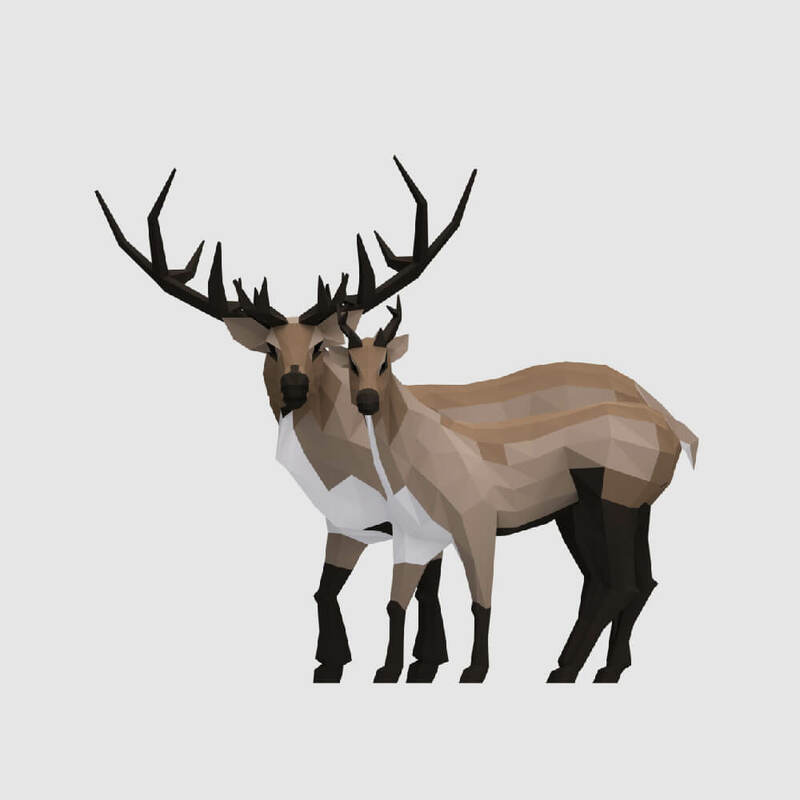 The Pack: A pack of reindeers ordered in male (764 faces each) and female (562 faces each).